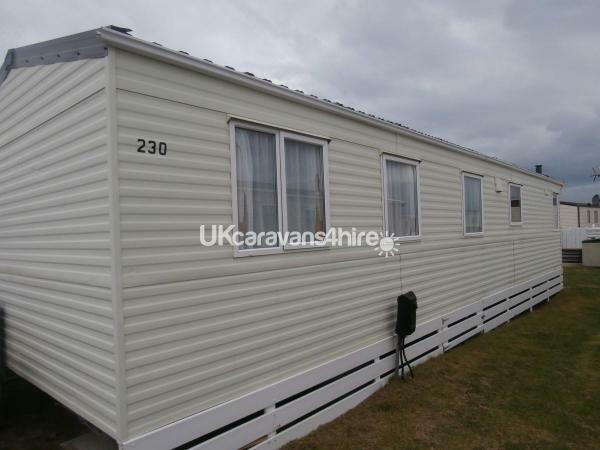 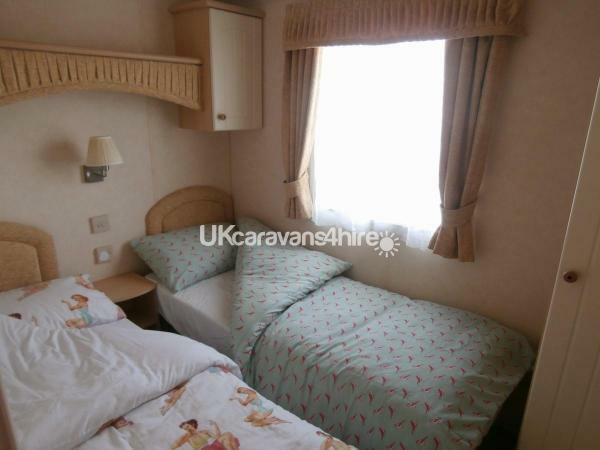 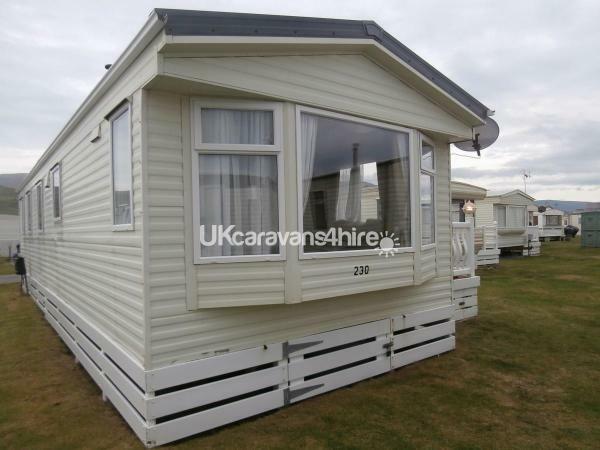 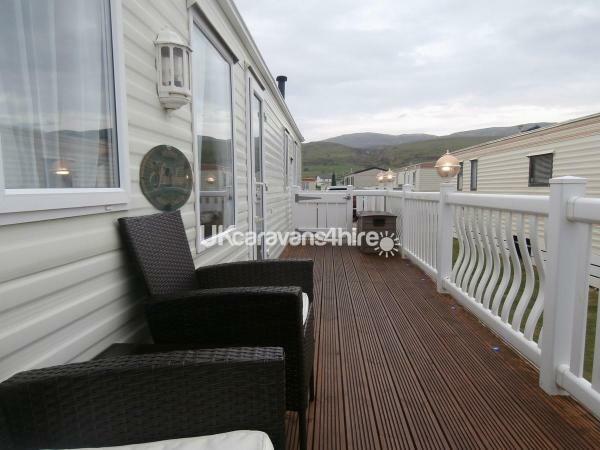 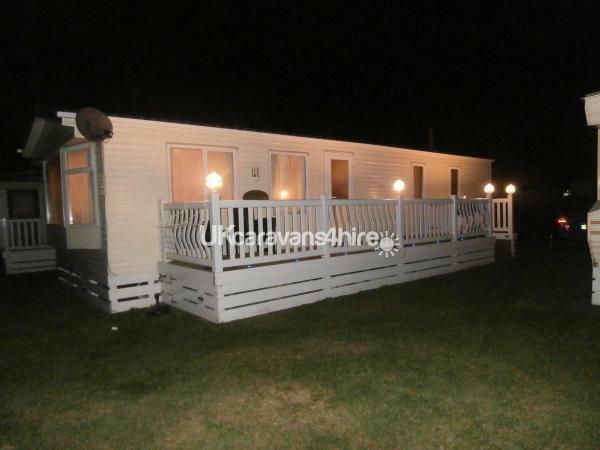 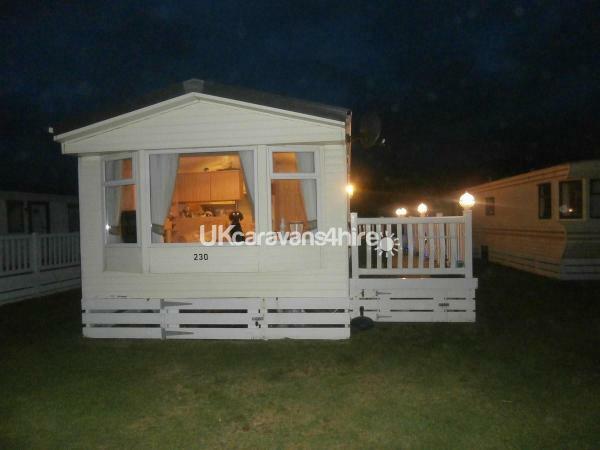 A very nice spacious, double glazed Willerby Salisbury 2007, 38 x 12, 3 bedroom with sea views. 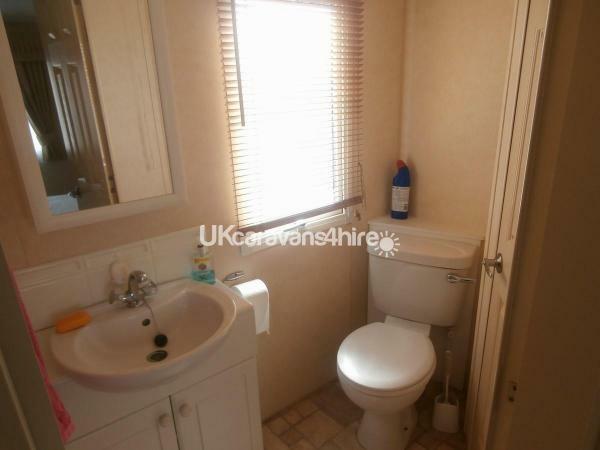 Master bedroom with en-suite (toilet and basin) and large built in walk in wardrobe, with new jedi tulip Led projector to create dynamic colouring changing atmospheres that range from night light to pre-set modes or ambience and mood lighting effects!! 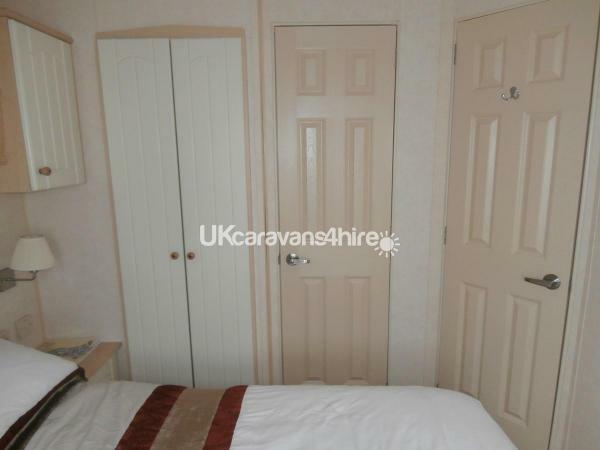 Two other bedrooms with two single beds in each and a pull out in front living room. 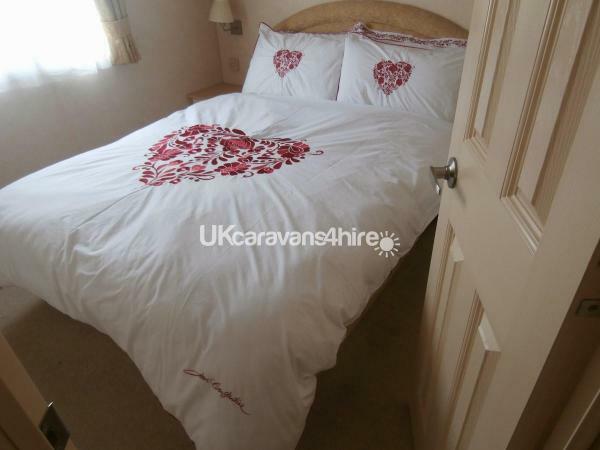 (with extra sup[port mattress) All mattresses have new mattress protectors, new duvets, new pillows and bed linen all made up on your arrival. 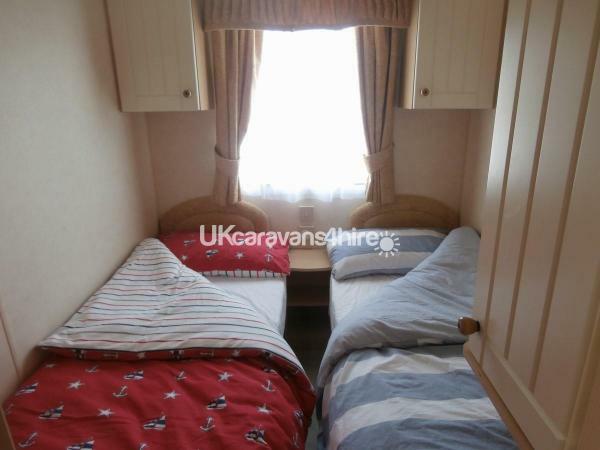 Also included are tea, hand and bath towels, 36 inch TV/DVD combi with children's and adult DVD films. 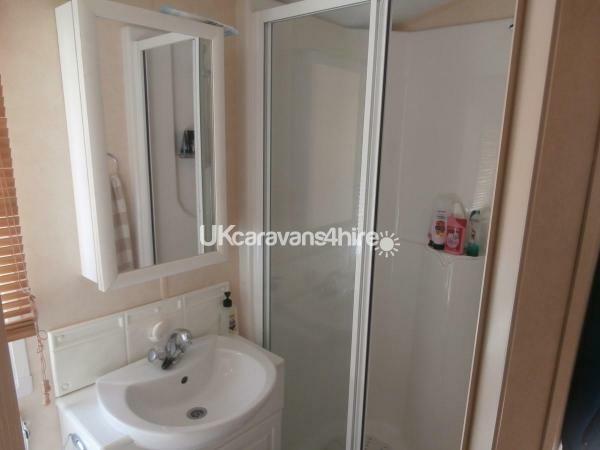 Extractor fan and heated towel rail in shower room and second toilet. 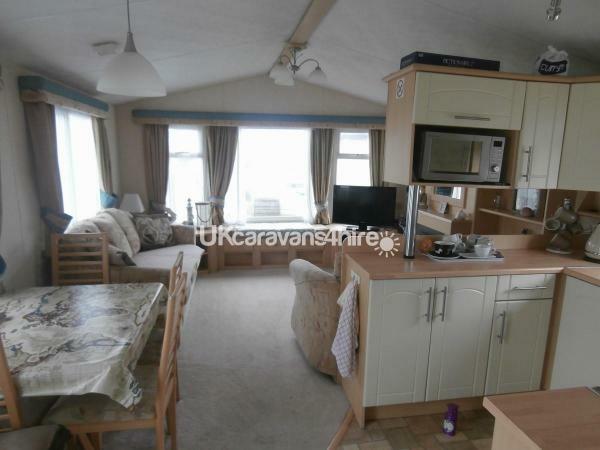 Fully equipped kitchen with gas cooker, microwave, fridge freezer compartment, toaster, electric kettle, iron and board, vacuum cleaner, all crockery and utensils, separate 6.1 litre small chest freezer, washing machine, 3 tier washing line, 10 year smoke alarm,fire blanket and fire extinguisher, first aid box, Yale intruder alarm, 3/4 length decking with wide easy access steps to decking platform, lanterns and blue deck lights, two rattan chairs and table, 3 reclining chairs, umbrella, children's beach tent with 2 seater blow up chair, windbreaks etc.